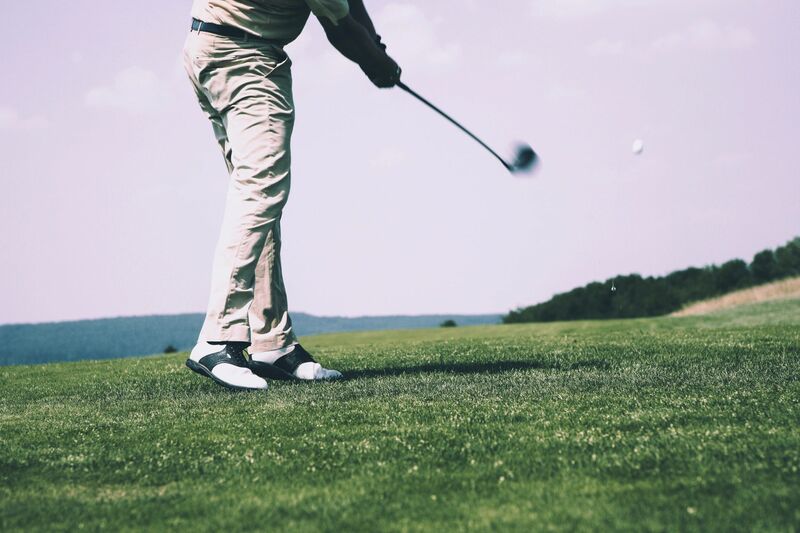 Golfers tend to be obsessed with exercises to hit the golf ball farther – not the ones that’ll find squirrel’s homes or the nearby pond, but the ones that are launched right down the fairway 300 plus yards! These type of drives becomes the most talked about shot of your round. That being said, let’s not daydream about longer drives and move on to the juicy details. There are a number of articles that enlighten readers about the relationship between muscular activity and golf. Well, we’ll take it one step further and tell you that longer drives can be achieved with a blend of power, strength, and mobility. How do we get the best blend of these three muscular activities? The answer lies in the following five simple and effective exercises. In order to do this exercise, you will first have to start with your feet placed apart as per your hip distance. Once you’ve got the right foot placement, you can lower down to a squat position by bending your knees inward. While going down into a squat, make sure your chest is lifted and your spine is straight while holding your knees behind your toes. Got the right posture? Now jump straight upwards while swinging your arms over your head to return back to the ground in the squat posture. With the help of this exercise, you will reach your power goals within no time. A broad jump is done by starting from a complete stop and pulling off a long jump. Just keep both your feet in a parallel line, slightly bend the knees, and bend forward to squeeze out as much distance as possible. By pushing yourself beyond your potential in this exercise, you will be able to develop explosive leg strength within no time! For this exercise, stand in a sideways position in order to anchor your rip trainer at your chest area. Once this has been done, you need to press the bar off your chest, and then jump in a 90 degrees angle away from the anchor point. All of this, however, needs to be done at a high speed. This particular exercise was found to leave the core torched enough to improve agility and speed immensely. Rip Trainer Broad Jump Press *this is an example with out the quarter turn. Simply add in a quarter turn (facing sideways to start) to perform the quarter turn jump press. In order to execute this type of squat, you need to be in a staggered stance. This means that your rear foot will be on the ground and the other one on a bench or elevated area. By doing so, about 85% of the leg strength should be supported by front foot. That being said, the difficulty level of this exercise can vary according to how far the legs are split for the squat. This squat is a very essential component of strength training and will really work your hamstrings and lower body! In order to get into this glorious hip mobility stretch, you will have to sit on your mat with your lead leg in front and bend 90 degrees from the knee. The trail leg should be stretched on the side and similarly bent 90 degrees from the knee. Once this position has been perfected, both your heels will be in line. Once perfected, straighten your back and lean forward to hover your belly button over the lead knee. The stretch you’ll feel in this exercise will boost your mobility immensely. So there you have it fellow golfers. If you want longer drives and more distance with your irons, these exercises will bring you the perfect mix of power, strength, and mobility to get you there.